Leadership at its most fundamental is about moving people in the right direction – usually through changing their thinking and actions. It’s about empowering the people to move forward together towards a shared goal of improving the human condition. In South Africa, it’s known as ubuntu – “the profound sense that we are human only through the humanity of others; that if we are to accomplish anything in this world, it will in equal measure be due to the work and achievements of others,” Mandela said. An ancient word of the Bantu peoples in South Africa, ubuntu essentially means “’I am what I am because of who we all are”. COMMENT | Madiba’s Way – Lessons on Life is worth a repeat reading. The book describes how former South African president Nelson Mandela, as a young boy, used to herd the village cattle with his friends in the afternoon. “You know, when you want to get the cattle to move in a certain direction, you stand at the back with a stick,” he said. “And then you get a few of the cleverer cattle to go to the front and move in the direction that you want them to go. As we start the New Year with a new government grappling with the old issues of communal politics and party factionalism, let us reflect on Mandela’s pragmatic leadership in apartheid South Africa, why the answer to complex questions is not always either-or but often the inclusive both, and the ideals that a leader is prepared to die for. Ubuntu manifests itself in our individual actions, in our family, in society, and on a larger scale in our politics. When we work together in the ubuntu spirit to oil the squeaky wheels of reforms and keep it turning, it will eventually lead to a transformation of cultures and mindsets. Here, I’m reminded of the Group of 25, a congregation of Malay public intellectuals who came out to strongly reject Islamic extremism and “supremacist NGOs” that “have led to the deterioration of race relations, eroded citizens’ sense of safety and protection under the rule of law and undermined stability”. 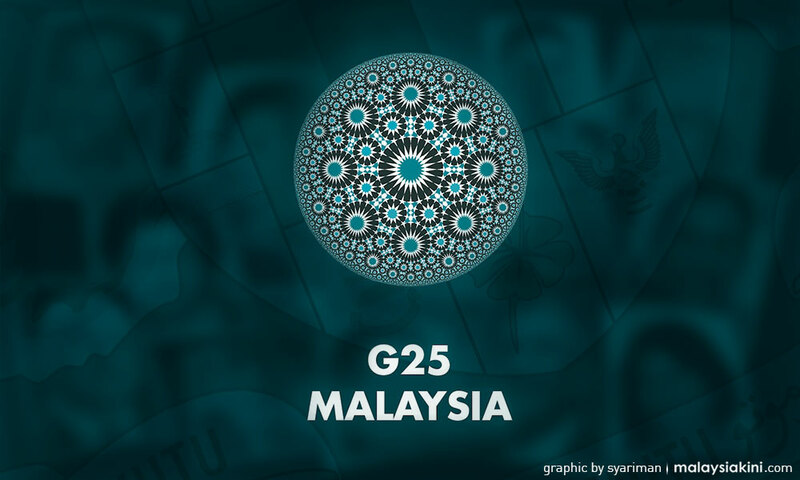 But since its formation in December 2014, not much else is known about the G25 or how the progressive Malay intelligentsia could have significantly influenced the tone and contents of the national conversation. Which leads me to wonder about the what ifs as we enter the New Year. What if the G25 had sustained its intellectual momentum and prompted the emergence of other progressive bumiputera think tanks? Would it have fostered a gradual transformation of mindsets and rethinking of ketuanan politics among the Malays? Would we see less factional politics in the Harapan cabinet and more concerted efforts in meeting its election promises of fundamental reforms? What if Mahathir were to step aside over the next year or so and guide a younger leader ‘from the back’ the Mandela way? Would the leadership transfer see us move forward to a Malaysia Baru, away from the old politics of special rights and privileges? Maybe not. What if the stranglehold of Ketuanan politics on the Malay mindset were to regress Pakatan Harapan to the vision and values, policies and propaganda, character and convictions of the old UMNO-led BN? The situation is certainly fluid. As we enter another year of political uncertainties and factionalism, let not the cliched messages by our leaders be mere rhetoric. Let us ensure that their pedestrian words of hope are matched by their audacious deeds over the next four years or so. Here, I’m reminded of the “audacity of hope” that President Barack Obama invoked often in his speeches. May the 20-something age voters with their ideals, particularly from the Malay heartland, foster a new progressive language that can shift the bumiputera-or-non-bumiputera mentality to an inclusive mindset, akin Malaysian ubuntu that channel our energy into overcoming impossibilities and fulfilling potentials rather than continuing to harp on special privileges and rights to move ahead. As we enter the New Year, may the polity awaken the ubuntu spirit here to replenish our hope for improved living conditions, equitable opportunities for all, and institutional reforms under Pakatan Harapan, which the rakyat gave the mandate to govern for the next four years or so, but which they can easily take back at the GE-15 if the new government morphs into another UMNO-BN outfit. ERIC LOO is a senior fellow (journalism) at the School of the Arts, English & Media, Faculty of Law Humanities & Arts, University of Wollongong. He is also the founding editor of Asia Pacific Media Educator. Posted in civil society issues, Compassion and Pluralism, Democracy, GE-14 Malaysian General Election, Goodwill, Human Rights, Justice, ketuanan melayu, Leadership, Liberalism and Open Society, Malay Fascists, Malaysia, Malaysiakini, Meritocracy and Competence, National Unity, New Economic Policy, Pakatan Harapan, Parti Pribumi Bersatu Malaysia, Politics, Race Relations, Racial Discrimination, Racism, Red Shirt Racists, reform, The Malays, Tun Dr Mahathir Mohamad, UMNO Politics. Gün Kut says there is a misunderstanding over ratifying ICERD in Malaysia. 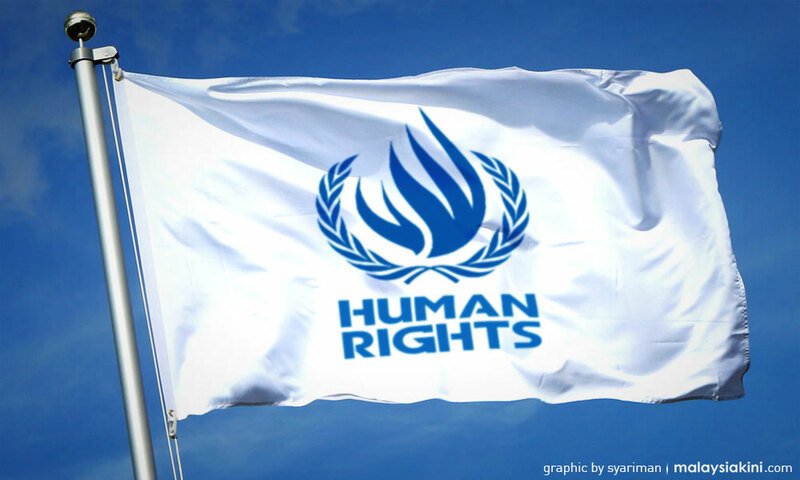 KUALA LUMPUR: A member of a United Nations (UN) committee tasked with monitoring the implementation of ICERD said Malaysia is now seen globally as accepting racial discrimination by not ratifying the international treaty. 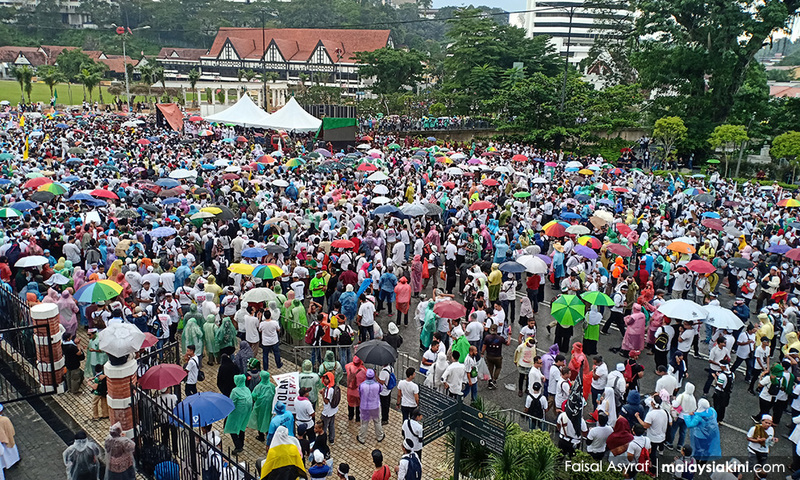 This follows Putrajaya’s decision not to ratify the International Convention on the Elimination of All Forms of Racial Discrimination (ICERD) this month, which led to a mammoth rally to give “thanks”. “When the United Nations Human Rights Council asked me to come to Kuala Lumpur to talk about ICERD, I had no idea I would be falling in the middle of a serious controversy. I thought it would be a standard meeting,” Gün Kut, a Turkish national who is part of the 18-member Committee on the Elimination of Racial Discrimination (CERD) based in Geneva, Switzerland, told a forum here. He questioned how ICERD could become extremely politicised in Malaysia when it is an international convention for the protection of individuals against racial discrimination. “Racism and racial discrimination is everywhere, so no state, country or government can claim there is no discrimination. “When you look close enough you may find cases often unheard of… yet it’s there,” Gün, speaking in his personal capacity, told a forum last week on strengthening national unity through the Federal Constitution and ratifying ICERD, organised by the Malaysian CSO-SDG Alliance at the Royal Lake Club here. Gün said Malaysia now found itself facing more pressure than ever because it seemed as if it did not accept non-discrimination. “Which is not the case,” he said. “All I see is a misunderstanding”. He said he still found it difficult to understand why Malaysia refused to sign the treaty. “We look at who is not signing it (ICERD) and why. I have an explanation for Nauru. I have an explanation for North Korea. But what should I think about Malaysia?” he asked. Gün lumped together Nauru, an island country in Micronesia northeast of Australia, North Korea and Malaysia as three countries which had not ratified ICERD without a good reason. ICERD obliges parties to eliminate racial discrimination in all forms, including in public institutions as well as in government policies, the issue at the heart of the opposition from a number of Malay groups. They say ratifying ICERD would undermine the special position of the Malays and the natives of Malaysia, including provisions to allow quotas in public institutions. They also oppose the ICERD’s timeline on member countries to end affirmative action programmes and benefits, which they say would sound the death knell for Malaysia’s decades-old pro-Bumiputera policy. But Gün said the treaty would never “insist” on a time frame for affirmation action policies to be stopped as that discretion lay with the respective member states. “It is up to the government to decide how they wish to act on our recommendations. This is not a peace treaty. It is a convention which creates a mechanism for states to voluntarily follow international standards. He said governments voluntarily signed ICERD “according to the letter and spirit of the convention” while dealing with “issues in their territories” on racial discrimination, saying this could be customised. “But if it is seen as something that gives a defined group preferential treatment forever, that’s a different matter,” Gün said. However, Gün said ICERD could intervene in issues that intersected with race, such as religious conflicts among ethnic groups “provided that there is discrimination on the basis of race that so happens to involve religion”. Asked why CERD did not seek an audience in Parliament to explain to MPs about ICERD, Gün said this would make it seem like the UN was pushy. “It would be difficult to promote ICERD to a non-signatory state and put pressure on member states. 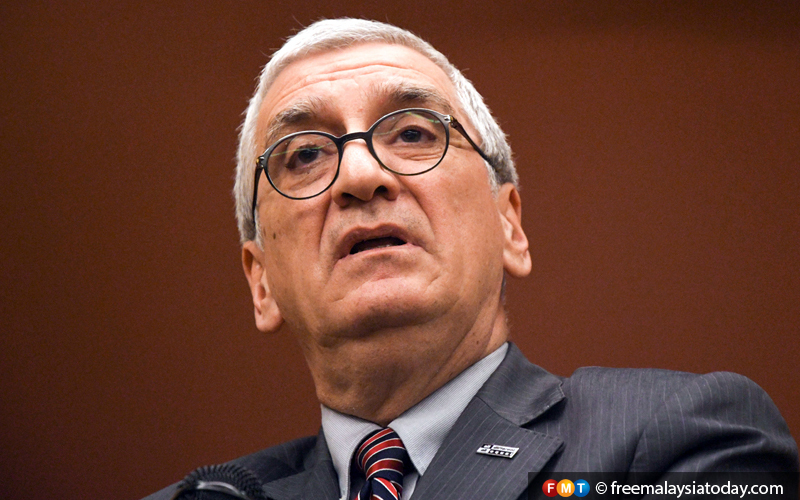 It would backfire, and seem as though the UN is imposing something (forcefully),” he said. The debate over the ICERD followed a speech by Dr. Mahathir Mohamad at the United Nations General Assembly in September, 2018 where he said his government would ratify the remaining human rights conventions endorsed by the world body. But the Prime Minister admitted that this would be difficult to do, and his office later announced that ICERD would not be ratified. Malaysia has only signed three UN treaties since 1995. Posted in Democracy, FreeMalaysiaToday, Justice, ketuanan melayu, Malaysia, National Unity, Nationalism, New Economic Policy, Pakatan Harapan, Politics, Public Policy, Race Relations, Racial Discrimination, The Malays, Tun Mahathir Mohamad, United Nations. QUESTION TIME | If we thought that UMNO-style gangster politics is dead and gone with New Malaysia, we have been very sadly mistaken as the recent issue over the ratification of the International Convention for the Elimination of all forms of Racial Discrimination (ICERD) shows. Somehow or other, the ratification of this convention has been taken to be a major attack on the special privileges of bumiputeras, including Malays, resulting in a cacophony of protests by UMNO and PAS, which were rather badly handled by the Harapan government. It is no such thing. There are enough safeguards and provisions in the IICERD for the special privileges of bumiputeras to continue and there are countries such as the US which ratified the treaty, saying its own constitution provides for those rights, and if there is any problem, then its constitution will stand supreme against ICERD. Despite what Prime Minister Dr Mahathir Mohamad has said about having to amend the constitution, which would require a two-thirds majority in Parliament, to ratify Icerd, most expert legal opinion is that there is no such necessity. In fact, Mahathir had said in September at the UN General Assembly that Malaysia would ratify six UN conventions, which includes Icerd. The about-turn that Harapan made over Icerd is substantive for one very important reason: it has basically submitted to the blackmail of UMNO and PAS who had threatened not just demonstrations but violence. Demonstration organisers talked openly about creating another May 13 in videos that went viral, raising needless alarm and concern. That will only encourage them to come up again and again with gangster-style tactics of violence and bloodbath when every issue of importance is debated. Capitulation to them now over an important issue in Malaysian politics will only make them raise their voices higher and their threats more severe in future. What was terribly surprising was the silence and muted response by Harapan leaders over an issue which had been twisted and turned by the opposition UMNO and PAS into a highly explosive racial and religious one. There was no attempt to explain that ratifying the ICERD was in no way against bumiputera rights but was aimed at endorsing universal principles against any form of racial discrimination. ICERD specifically excludes special privileges for any community as a means of social redress for as long as that is necessary. There are some who say that the Federal Constitution sets no limit on special privileges, but even that is not an issue as Icerd can be ratified subject to the primacy of a country’s own constitution as the US did when it ratified Icerd in 1994. These concerns are addressed and allayed comprehensively in this article by respected constitutional scholar Shad Saleem Faruqi who deals with all the major legal and constitutional issues over ratifying ICERD. Here are the concluding remarks of his article: “ Even if ratified by the executive, Icerd cannot displace Article 3 (Islam) (of the constitution), Article 153 (special position of the Malays and natives) and Article 181 (prerogatives of Malay Rulers). This is due to the legal fact that our concept of ‘law’ is defined narrowly in ArticIe 160(2) and does not include international law. “The constitutional position on the ICERD is, therefore, this: Even if the ICERD is ratified by the executive, it is not law unless incorporated into a parliamentary Act. Even if so legislated, it is subject to the supreme constitution’s Articles 3, 153 and 181. Unless these Articles are amended by a special two-thirds majority and the consent of the Conference of Rulers and the Governors of Sabah and Sarawak, the existing constitutional provisions remain in operation. Unfortunately, that is exactly what Harapan has done by capitulating to UMNO-PAS and others threats of violence over Icerd at a demonstration to be organised on Dec 8. Now that demonstration is going to be a celebration of their “success” – how pitiable. “It was Mahathir, after all, who said point blank to the Malays that they should stop supporting UMNO because its leader was involved in the largest kleptocracy the world has known via 1MDB where RM42 billion was lost. Surely through proper information and education, most Malays can be made to realise that ratifying ICERD does not affect their rights or the rights of other bumiputeras. That pathetic statement follows upon Mahathir’s volte-face over signing ICERD, saying the untruth that a constitutional amendment is needed to ratify the convention, and taking the easy way out instead of explaining to the Malays, who appear to be the only bumiputra group opposed to the ratification, what the real situation is. It was Mahathir, after all, who said point blank to the Malays that they should stop supporting UMNO because its leader was involved in the largest kleptocracy the world has known via 1MDB where RM42 billion was lost. Surely through proper information and education, most Malays can be made to realise that ratifying ICERD does not affect their rights or the rights of other bumiputeras. 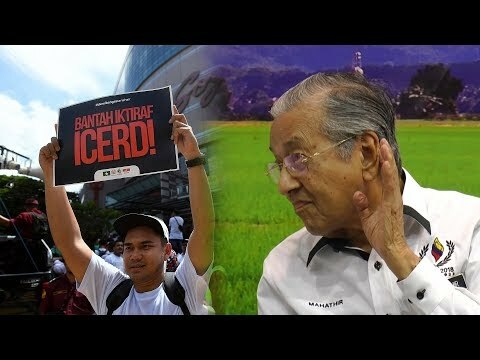 But instead, the silence of Harapan leaders and their lack of defense of the reason why ICERD was to be ratified as part of the intentions voiced in their manifesto led to this issue systematically being used to whip up sentiment, spiralling up to the defence of Malay rights which it is not. And handing a victory on a platter to the gangster politics of UMNO, PAS and others who play up racial, religious and royalty sentiments and threaten violence, not in furtherance of Malay rights, but their own selfish, narrow agenda of capturing Malay votes and support. It is more than a sorry state of affairs for it might lead to pressure on the entire Harapan reform agenda if a simple ratification of the ICERD can be turned into such a serious non-issue. 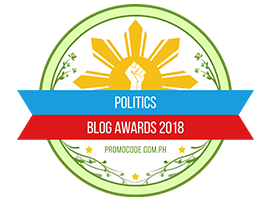 Posted in Anwar Ibrahim, Civil Rights, civil society issues, Democracy, Human Rights, Justice, Malay Fascists, Malaysia, Malaysiakini, National Unity, Pakatan Harapan, PKR, Racial Discrimination, Racism, The 1963 Malaysian Constitution, The Malays, Tun Dr. Mahathir Mohamad, UMNO-BN, Uncategorized. Two recent commentaries on the International Convention on the Elimination of All Forms of Racial Discrimination (ICERD) ratification controversy have argued that it is necessary for the government to make known its position on the issue. According to the Sik-Bisik Awang Selamat column of Utusan Malaysia those who oppose ratification have a valid concern in that it will challenge the constitution which affects the special rights of the Malays, the bumiputeras and the Malay rulers. The column noted that the issue will continue to divide the nation as long as the government drags its feet and does not come out with a clear and definitive decision. The Utusan writers also pointed out that If the politicians cannot take a firm stance on the issue, how can they expect to convince the populace? 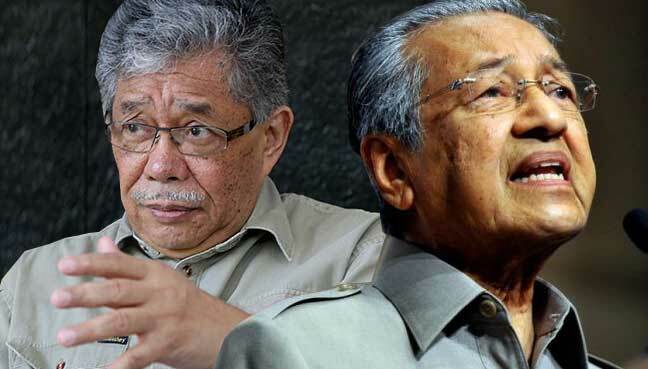 The second commentary by Dr. Musa Mohd Nordin and Dr. Awaluddin Mohamed Shaharoun makes the point that that UMNO-PAS politicians are using the issue to create instability in their efforts to topple the Pakatan government. They also provide a necessary reminder to the public that PAS president, Hadi Awang, in an Utusan Melayu report dated 15 September 1985, then in his capacity as Terengganu State Commissioner, “pledged to abolish Malay rights if PAS came into power”. More specifically, he added that these include “the removal of Malay Reserve Land, National Economic Policy or other policies which only served the Malay interest. PAS promised that all races would be equitably treated”. Although diametrically opposed in their support of the political parties, both sets of commentators seem to agree in assigning the primary responsibility for resolving the controversy to the political leaders of Pakatan and Barisan. 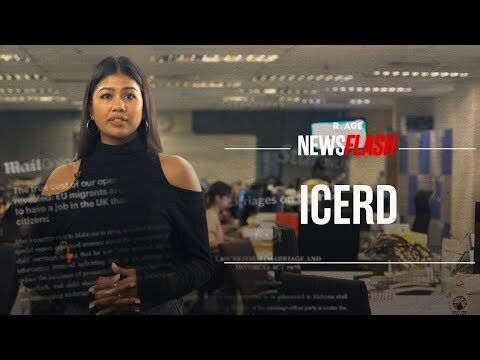 A politically driven top down authoritarian approach to managing this controversy now has taken place with the announcement from the Prime Minister’s Office that the Pakatan government has decided against ratifying the ICERD. While this clearly hasty and apparently panicky decision may have the effect of dousing the inflamed sentiments and views of some members of the public, it is at best a temporary band-aid or cooling agent. What has happened is that the ICERD issue and the question of Malaysia’s ratification – for better or for worse – has become and will remain a cause celebre which will continue to generate widespread controversy, fierce campaigning by opposed groups and heated public debate. To ensure that the ICERD ratification issue is not further hijacked by political parties and politicians for their own agenda, a final government position needs to be made which takes into account the views of all stakeholders and the larger citizenry. The main objections expressed against ratification relate to concerns about how the international treaty will adversely affect the special position of the Malays, the other Bumiputeras, the Malay rulers, the Malay language, etc.. In addition, the latest statement by PMO brings in a related but new issue of the ‘social contract’ agreed to by the various communities at the time of independence which the ICERD ratification apparently will conflict with. All major stakeholders – apart from political parties – should review the provisions of the ICERD and determine how the country’s act of ratification will exactly impact on each of their positions as well as on the so-called ‘social contract’. In particular, each major stakeholder identified by critics of the ICERD as having their position or rights or interests adversely affected by the treaty ratification – the Rulers Council, JAKIM and other Islamic bodies, social, cultural, language, academic, and other Bumiputra bodies and organizations should take the opportunity to give priority to this exercise and communicate their findings and conclusions to the public and the government. In this way, they can either refute or confirm the concerns made by others on their behalf. Silence from non-partisan and non-politically aligned key stakeholders will not serve the nation well. We are all aware that fear and insecurity are being fanned and manipulated by the anti-ICERD Malay faction and this will not stop soon. Finally, we note that the best way of responding to those who claim to represent or speak up on behalf of the Malays is to remind them of the wisdom of our past leaders in building the nation. “The Special Position of the Malays [is] a handicap given to the Malays with the consent of all the other races who have become citizens of the country so as to enable the Malays to compete on equal footing for equal opportunities in this country. 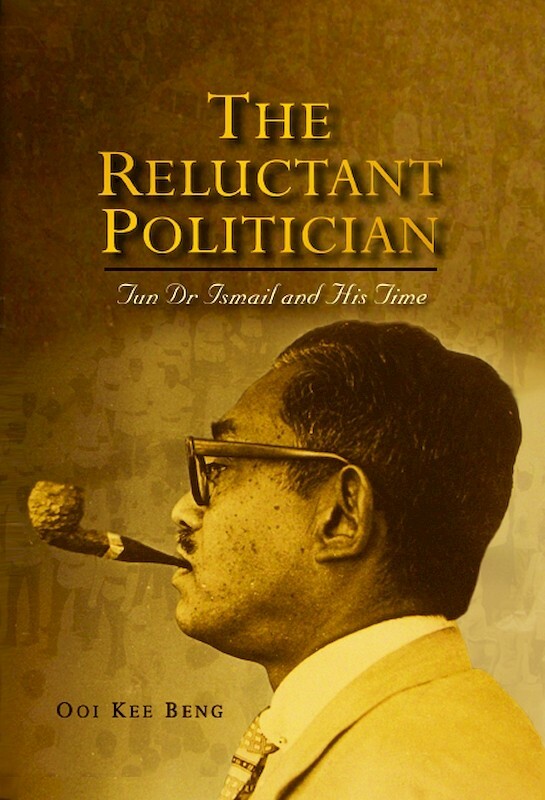 That and that alone is the only aim of the Special Position of the Malays.” (From Ooi Kee Beng, “The Reluctant Politician: Tun Dr. Ismail and his Time”, p. 225). We believe that the ultimate national position on ICERD ratification – whether for or against it – should be derived from historically informed, empirically driven, truth-finding, objective and independent analysis along the lines we have set out. This alone can enable us to break the deadlock over the issue and be acceptable to the great majority of Malaysians who want the country to put this issue behind them and to move on. *Tawfik Ismail, eldest son of Tun Dr Ismail, is an alumni of St. John’s, Royal Military College and Oxford University. He represented Sungei Benut as Member or Parliament from 1986 till 1990. 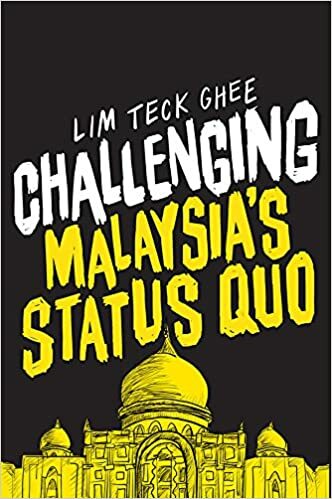 Dr. Lim Teck Ghee is a public policy analyst and author of the book, Challenging Malaysia’s Status Quo. He is also co-author of the recent book on the 14th GE, Anatomy of an Electoral Tsunami. Posted in Civil Rights, civil society issues, Democracy, Human Rights, ketuanan melayu, Malaysia, National Unity, Nationalism, New Economic Policy, Pakatan Harapan, Politics, Racial Discrimination, Racism, The Consitution, The Malays. The old devils are at it again. Really? So, let me get this straight. DAP, which has not given its official stand on the ratification of ICERD, wants people to express their views on this issue? DAP, who routinely mocks MCA for being subservient to UMNO wants people to express their views even though it has not declared its own position on the issue after the cabinet decided (by consensus) not to ratify Icerd? DAP, the purveyors of the Bangsa Malaysia Kool-Aid, wants people to express their views, even though it has warned the Chinese community (and others) to be wary until after the December 8 anti-ICERD celebration? So, the Finance Minister of this country, who has made these tirades about speaking the ‘truth’ even though it is economically or politically disadvantageous to do so, suddenly seems to have lost his ability to speak when it comes to the issue of ICERD. But don’t worry folks, I am sure you will speak up on this issue, even when Lim, if asked to comment, will just deflect, leaving you holding the bag. Another DAP leader, says this country needs a vision which highlights the virtue of the middle ground. When politicians babble on about the middle ground, what they forget to tell you is that it is contextual. Here in this country, when I talk to people about what they think the middle ground is, they speak of middle Malaysia with two definitions. The first is the social contract. It is not a real document but rather it is an unspoken understanding. The middle ground is that there are policies and ideologies in place that benefit the majority, and as long as minorities can exist comfortably, albeit with limited freedoms, they must not question the inequalities of the system, even if that system which claims to “uplift” the majority is in reality detrimental to the community. The second definition was borne out of the political turmoil that split the Malay community when Anwar Ibrahim was ejected from the UMNO paradise. Or at least, that’s the narrative that we are most familiar with. This middle ground is defined by concepts like equality, secularism and numerous other progressive ideas championed by the urban educated electorate. So when people talk of Bangsa Malaysia for instance, they are really talking about the idea that everyone is equal in law and the aspirations to certain fundamental freedoms that people in other countries take for granted. Here’s the thing though, ICERD was that vision of a middle ground that Pakatan Harapan claimed fidelity to. It is in their manifesto and the rhetoric of the more outspoken members of its coalition. Rational (Harapan-aligned) critics of ICERD did not make the argument that the treaty would destroy the Malay community because they could not point to anything that did that. What they argued was that the ratification of ICERD would be politically disadvantageous – or so they claim – and that the present government would lose its credentials as protectors of race and religion. This neatly falls into the first definition of the middle ground. The reality is that ICER was a symbol and a declaration which is actually a baseline for functional democracies for the second definition. The religious far-right who oppose Icerd did so because they believed in the supremacy of their race and religion. What Icerd did was to say everyone should be equal. By not ratifying Icerd, the government did two things. First, it legitimised the views of people like PAS president Abdul Hadi Awang. This really does not bother me. Hadi is the politically incorrect face of Malay supremacy. Think of it this way. Has any Malay-Muslim Harapan politician come out and say that Hadi is wrong when it comes to issues of race and religion? Have any of these politicians offered an antithetical view of Hadi’s numerous toxic narratives? Sure, some political operatives have made meek protestations and gingerly attempted to offer a counterview, but nobody has had the cojones to say Hadi’s view of Islam is wrong. So I am not so worried about the first point because the foundation of mainstream Malay politics is racial supremacy, but what has happened over the years is that mainstream Malay power structures have done a reasonable job in balancing Malay and non-Malay expectations so we did not turn into just another failed Islamic state. The second point is far more dangerous. When Harapan rejected ICERD, they sent a message to the religious far-right that their threats of violence work.Now, some would say, hasn’t this always been the case? No, this time is different because Harapan, which claimed to be a progressive force, caved in to the religious far-right. This was not the UMNO decades-long hegemon playing to the gallery. This was a supposed multiracial coalition telling the racial and religious far-right that they were afraid to confront them even though they had federal power. It sent a signal that the Harapan government could be brought to its knees when the issues of race and religion are used. The problem here is that the racial and religious far-right could turn every issue into a religious or racial issue and by attrition, bring down a democratically-elected government. If this sounds scary, it really isn’t. What the Harapan government should do is determine which kind of middle ground they want to occupy. This would mean jettisoning those ideas which they have long promulgated to rile up the base. Chin Tong is wrong when he talks about a non-Malay periphery electorate wanting to fight fire with fire. What they want – and I doubt they are a periphery – is for Harapan to occupy the second definition of the middle ground. This puts them in conflict with those who view the first definition as pragmatic and conducive to maintaining power in this system. Harapan, and the DAP specifically, has to find its scrotal sac and define the middle ground even if it means acknowledging that there is no new Malaysia, only a BN Redux. S THAYAPARAN is Commander (Rtd) of the Royal Malaysian Navy.The views expressed here are those of the author/contributor and do not necessarily represent the views of Malaysiakini. Posted in Anwar Ibrahim, ASEAN, Character and Integrity, Civil Rights, civil society issues, DAP, Democracy, Finance Minister L Guan Eng, Governance, Human Rights, ketuanan melayu, Liberalism and Open Society, Malaysia, Malaysiakini, Meritocracy and Competence, National Unity, Pakatan Harapan, Parti Pribumi Bersatu Malaysia, PAS, PKR, Race Relations, Racial Discrimination, Racism, reform, The Malays, The Malaysian Constitution, Tun Dr. Mahathir Mohamad, UMNO.